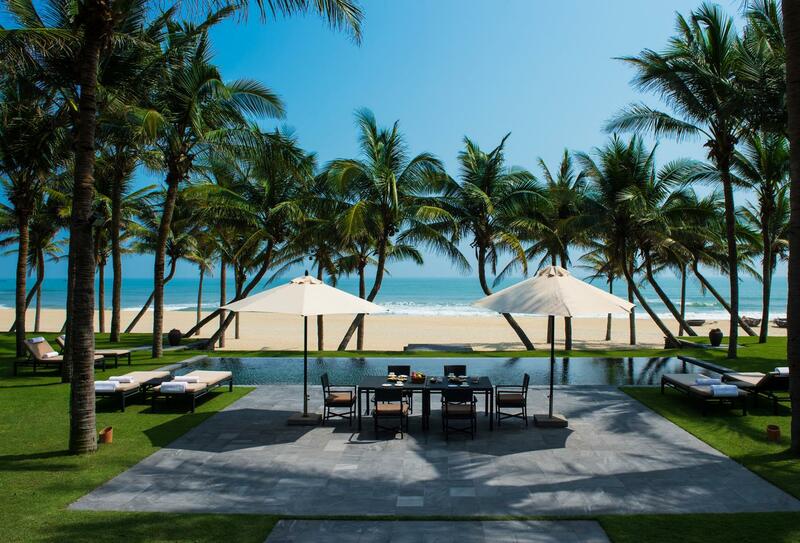 Four Seasons Resort The Nam Hai on the outskirts of the old Hoi An town offers the perfect Vietnamese experience with high end luxury accommodation on China Beach, boasting one of the most sought after shorelines in Vietnam. 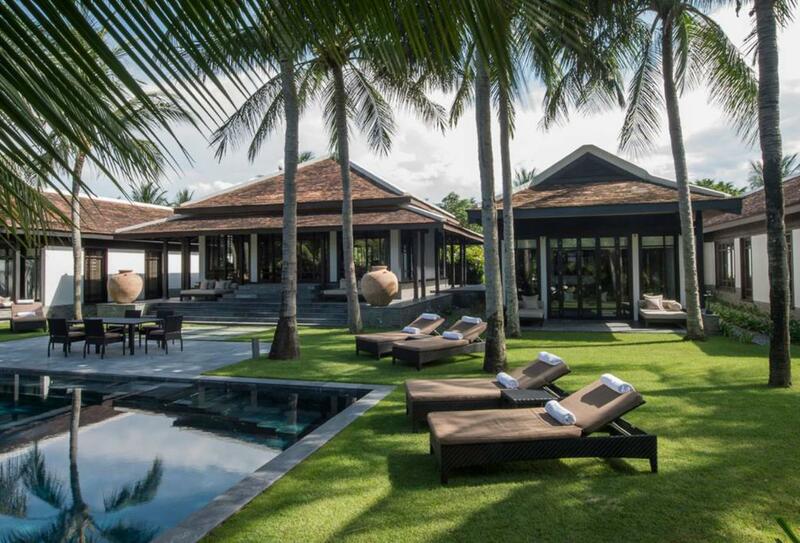 Space is of the essence at this property where each villa has its own garden and some feature a pool. 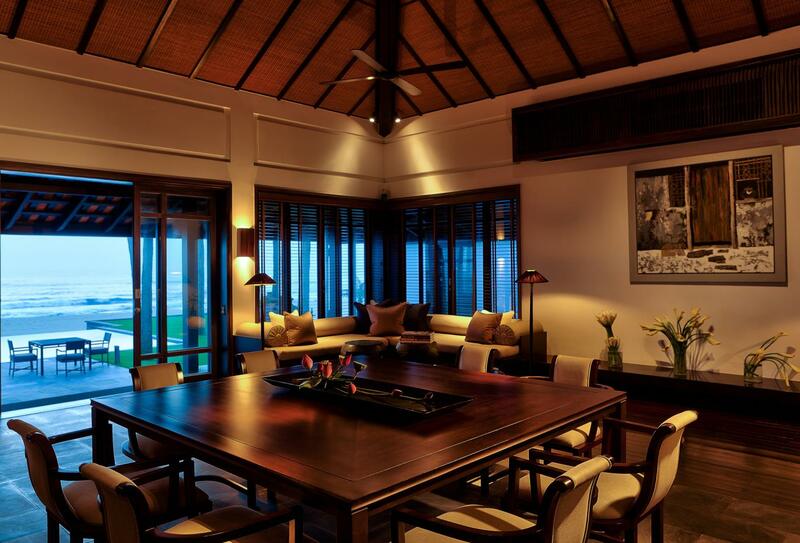 Cuisine can be found at either the indoor or beachfront restaurant, the latter of which proves to be an excellent setting for an intimate romantic meal. 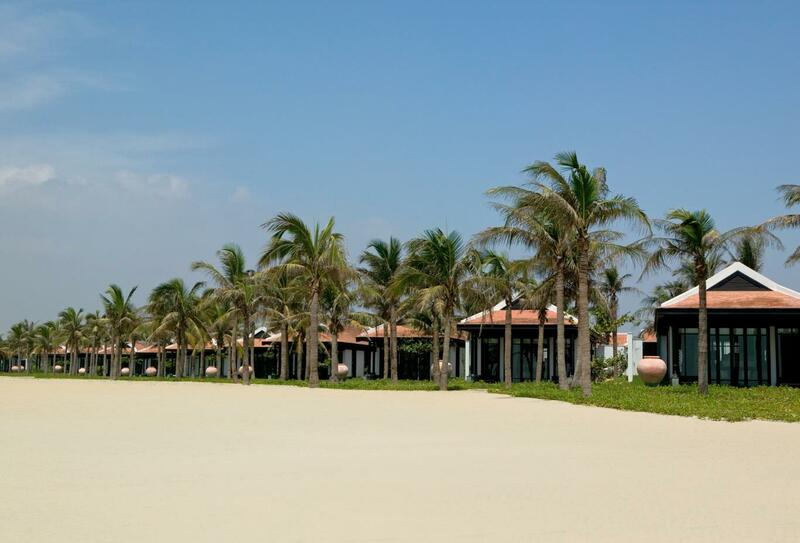 There are many nearby areas for you to explore around Hoi An, although those who choose to stay at the resort are rewarded with a range of activities; from tennis and basketball courts, to the relaxing spa and swimming pools. 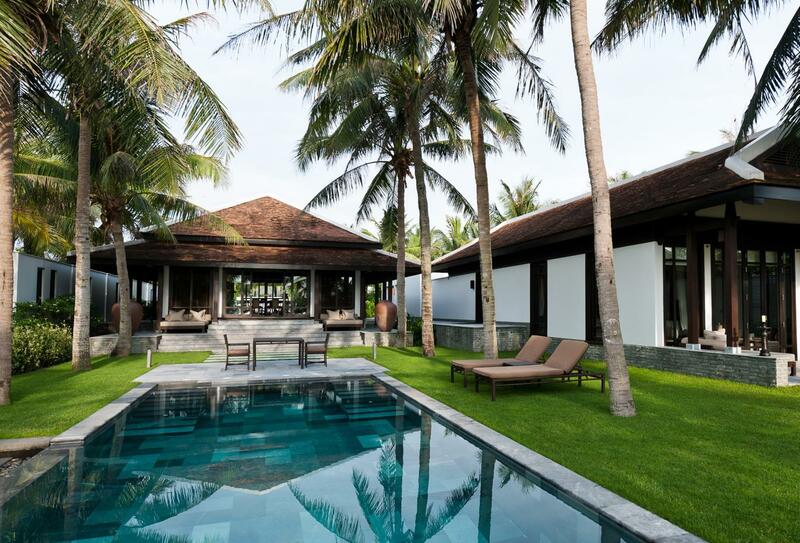 This villa features an open environment and a bathroom which opens out into a private garden. 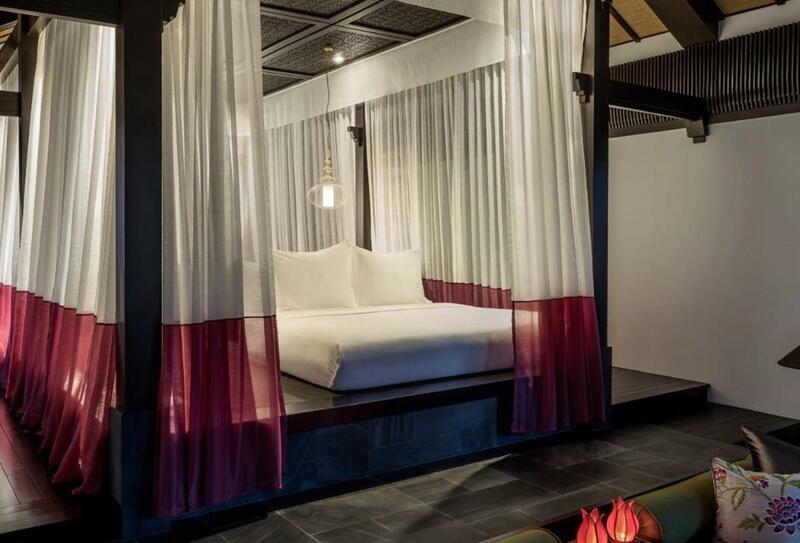 This villa is sat at the back away from the front area of the beach and features a bedside tub and outdoor rainshower. 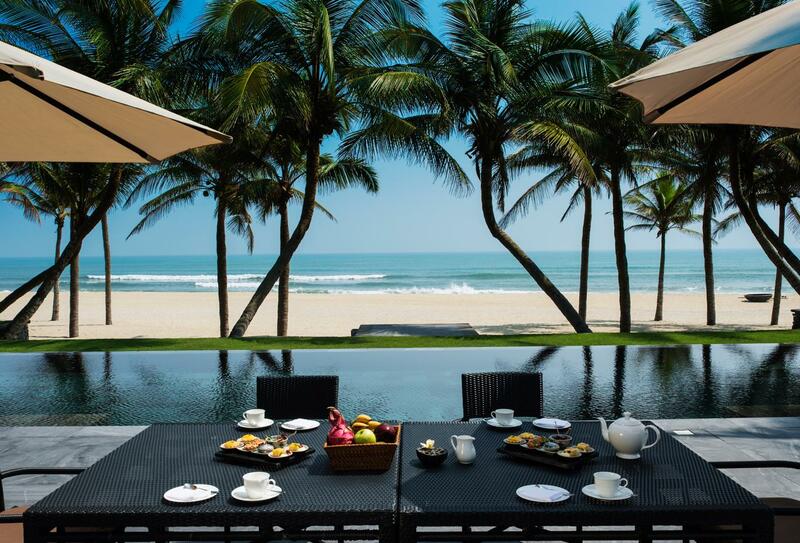 Situated directly on Vietnam’s most famous and sought after shorelines, beautiful views can be seen from the private outdoor terrace. 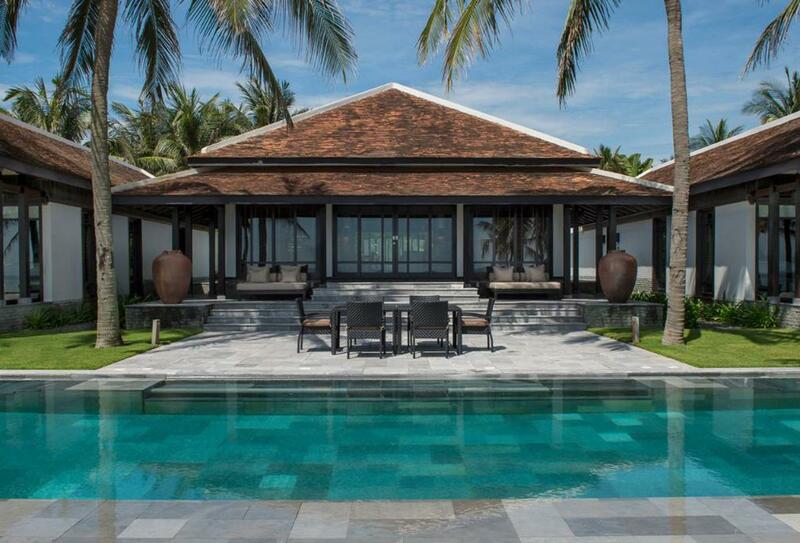 This family villa features a a king-size bed on a central platform and a separate children's room with a sofabed, desk, TV and gaming console. 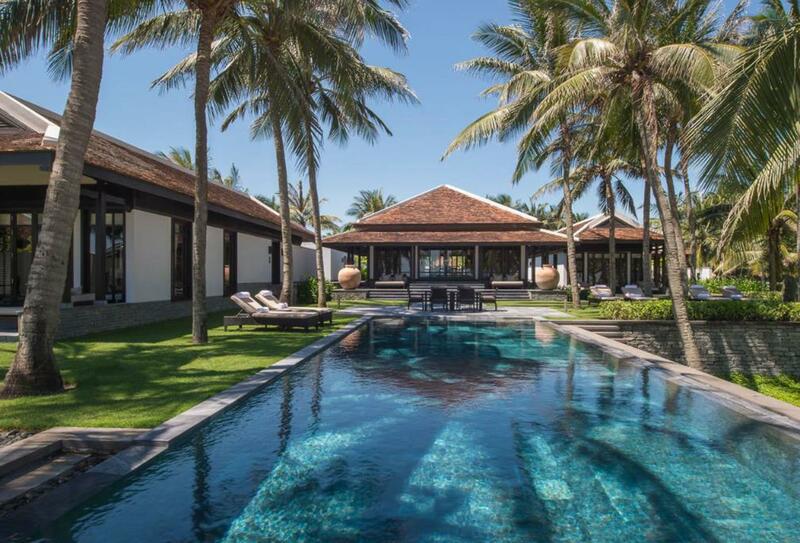 This five bed pool villa features five bedrooms, all with full bathrooms including outdoor showers, a outdoor heated swimming pool and can accommodate up to 15 guests. 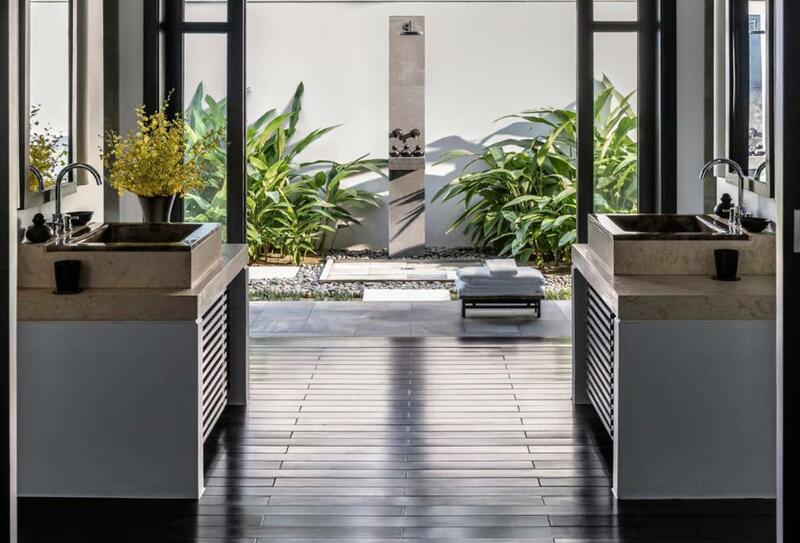 Take a splash in your private swimming pool or enjoy dining in your separate pitched roof, pillared living and dining pavilion. 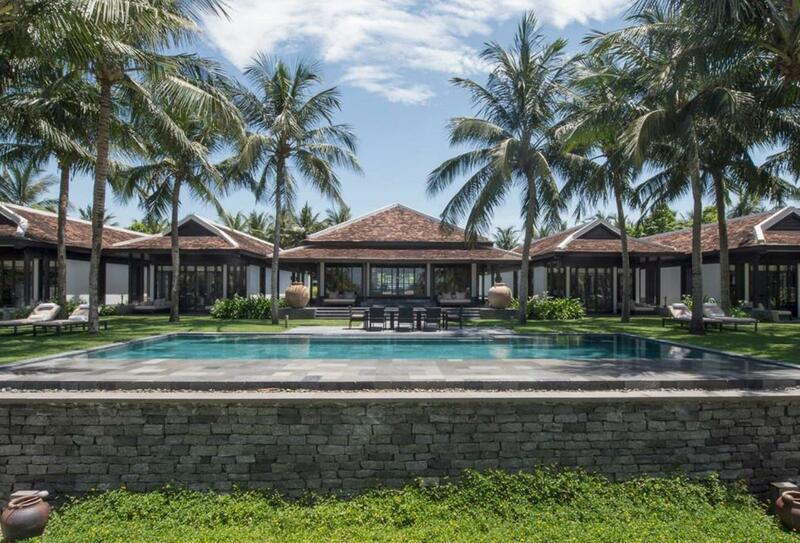 This villa features a pillared living and dining pavilion overlooking a swimming pool surrounded by sun loungers and tropical gardens with lotus ponds. 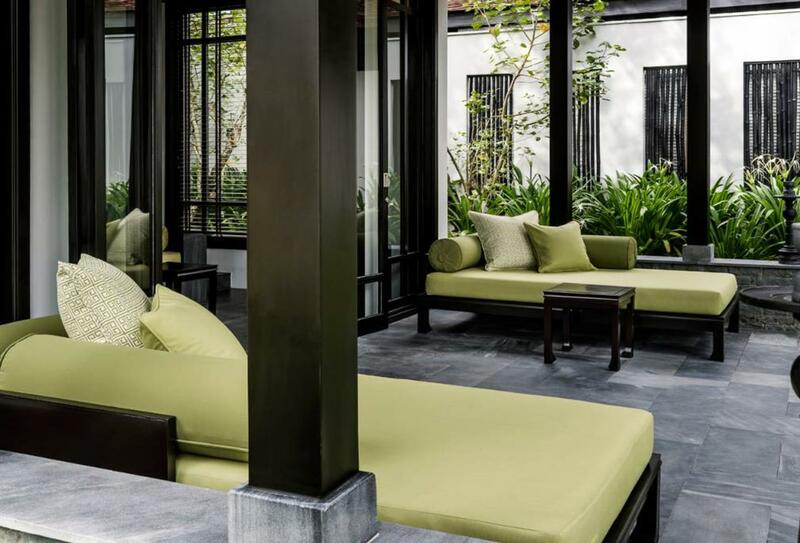 This two bedroom compound has high traditional Vietnamese-inspired walls and a separate pitched roof, pillared living and dining pavilion, a free form swimming pool and surrounding tropical gardens. 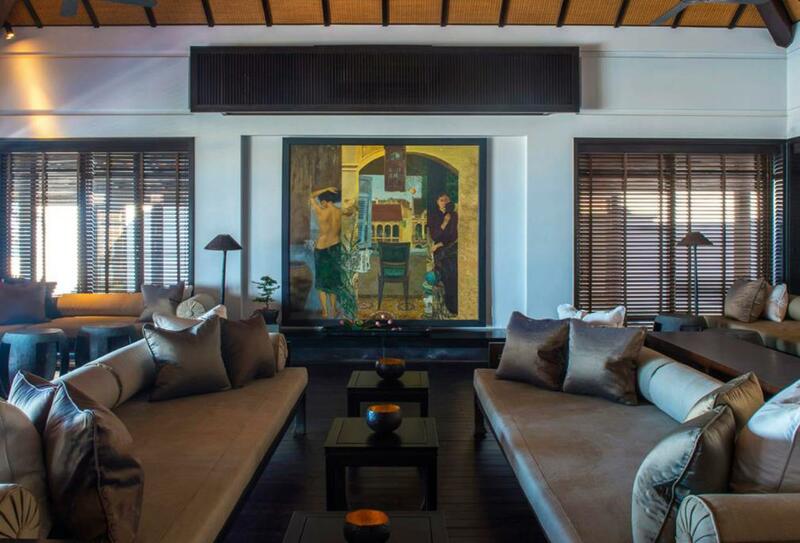 This villa has a separate living and dining pavilion which overlooks the private pool and lotus pond and is a great place to congregate after a day's activities. 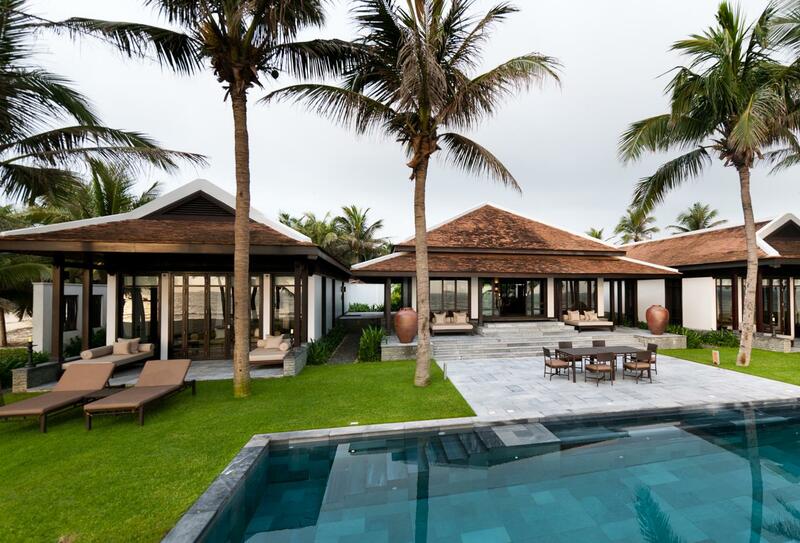 This is three individual bedroom villas, an extended private pool and a pitched, pillared living and dining pavilion all beside the beach. 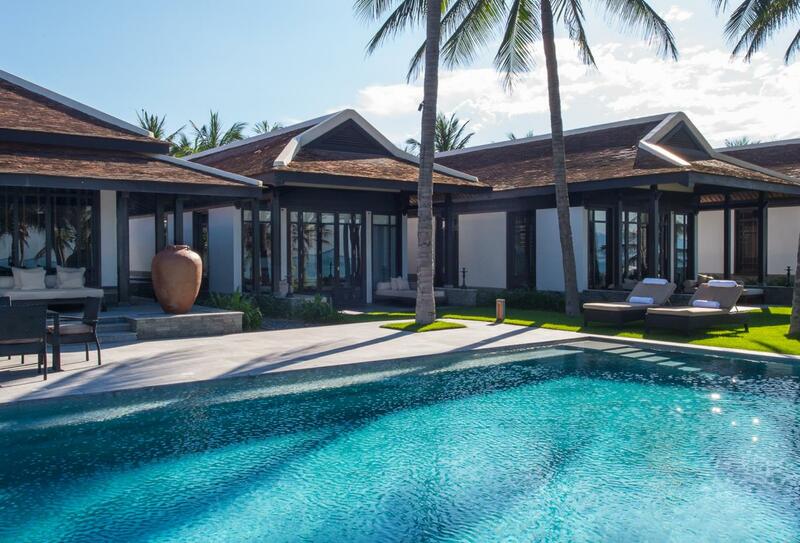 Relax on a sun lounger by your large swimming pool or stroll through the surrounding tropical gardens. 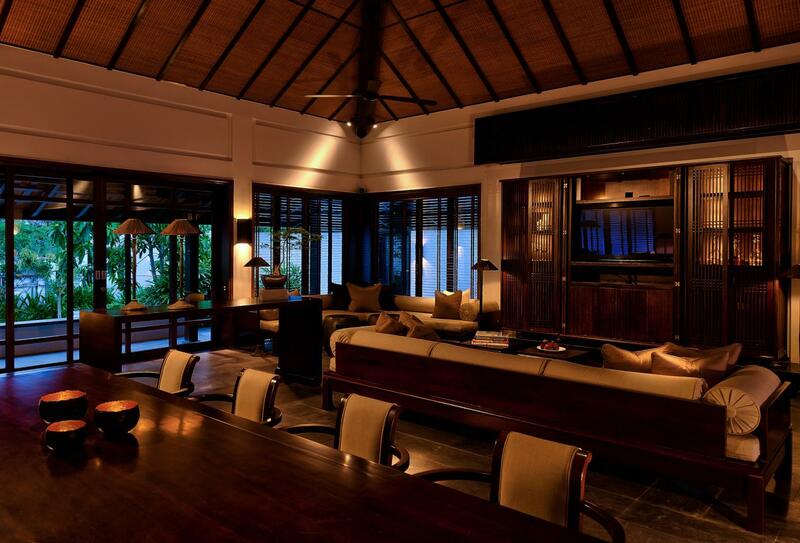 5 Bedroom Beachfront Pool Villa. 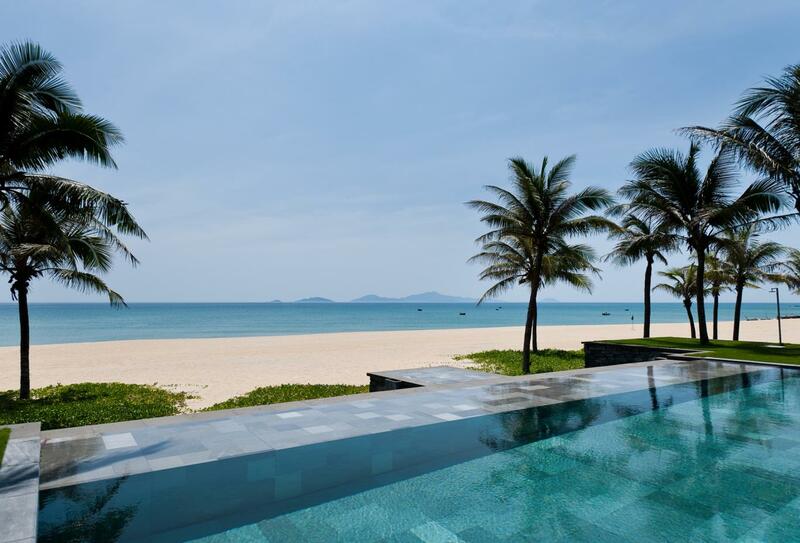 Enjoying a prime position on Ha My Beach, the largest residential complex at The Nam Hai and has five individual bedroom villas, a separate living and dining pavilion around a private swimming pool. 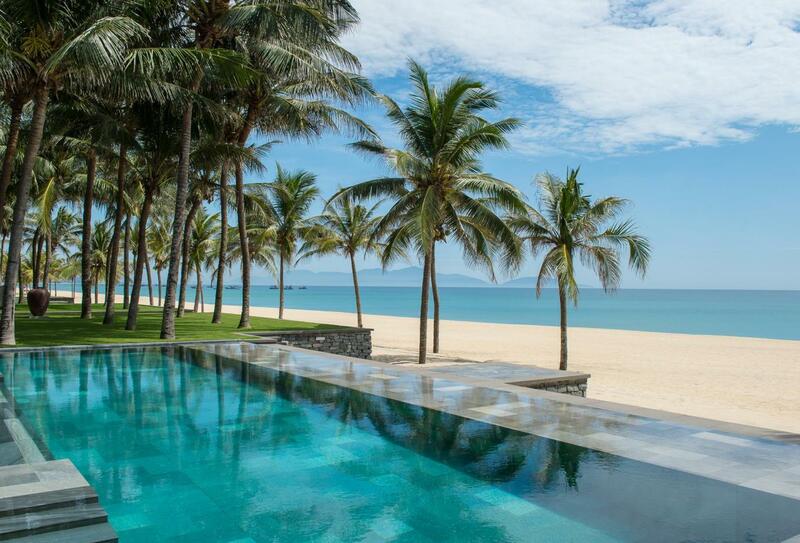 Charming and tranquil, this quiant resort in Hoi An is perfect for a romantic retreat to Vietnam. Subject to availability. Valid 1 April 2017 – 31 March 2018. 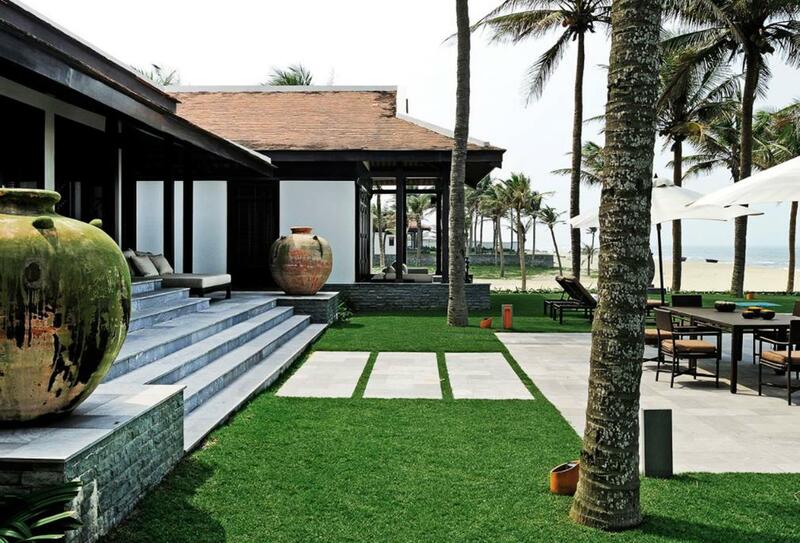 Overlooking the East Sea, this luxurious resort makes the perfect place to say 'I Do'. 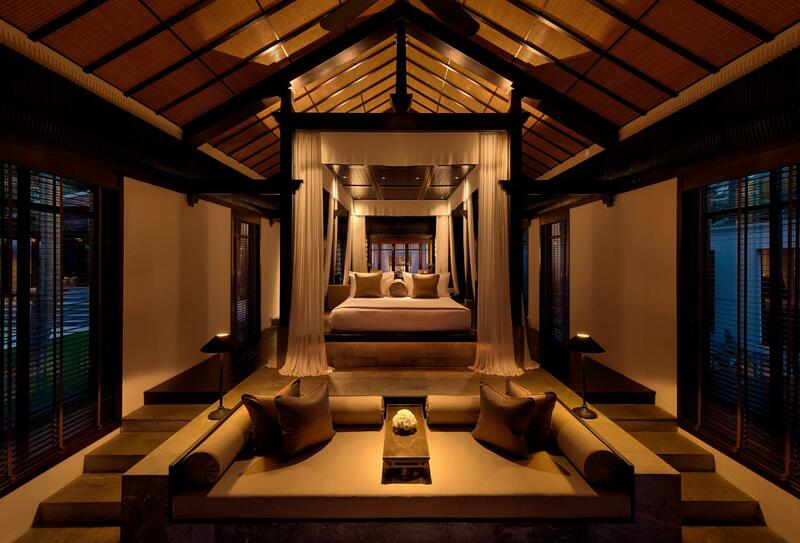 Eight treatment pavilions float atop a serene koi fish filled lagoon. 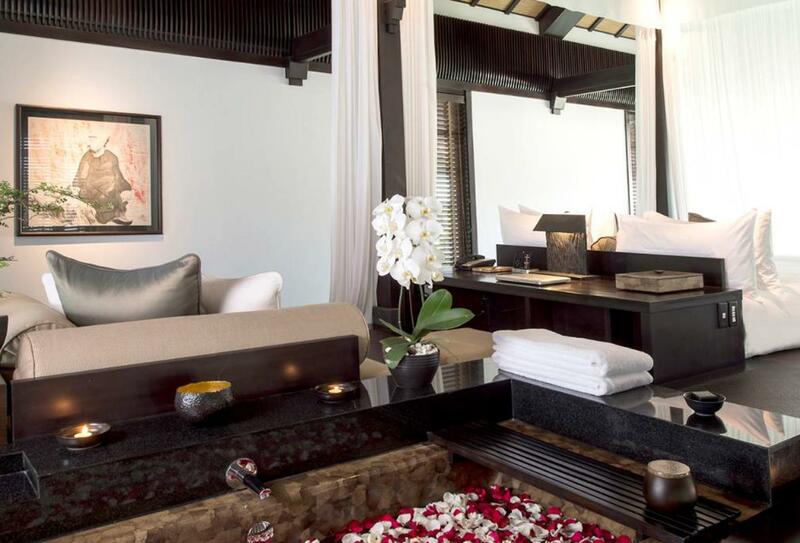 Each one has an open air relaxation deck with a deep soak bathtub and two-seater cushioned daybed. 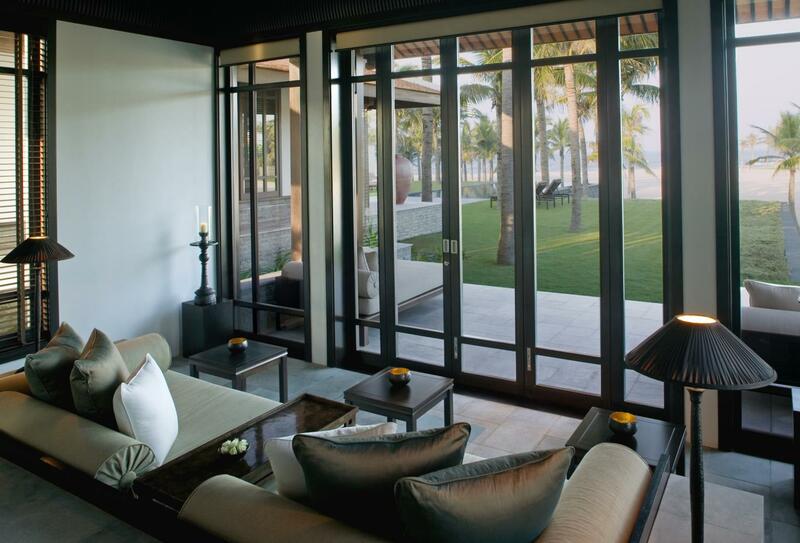 The spa is open daily from 09.00 to 22.00 and you can enjoy complimentary yoga and meditation sessions Mondays to Saturdays from 08.00 to 09.00 at the open lounge. Serving signature drinks. Open daily 10.00 - 01.00 and seats 88. Dress code is smart casual. La Sen serves Vietnamese comfort foods, pizzas and seafood. Lunch is served between 12.00 - 18.30 and dinner 19.00 - 22.30. Dress code is smart casual. 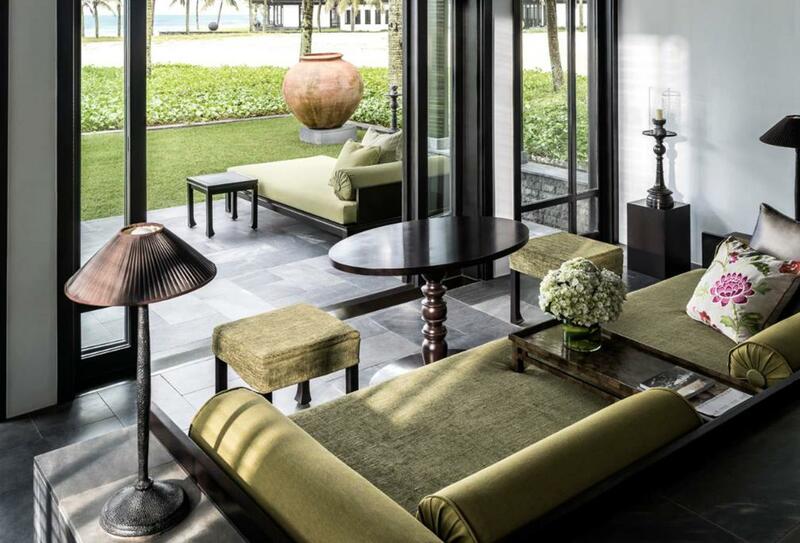 Cafe Nam Hai serves a breakfast buffet made up of western and local favourites. For dinner there is a tandorri oven and Asian fusion cuisine. Breakfast is served from 07.00 - 10.30 and dinner from 19.00 - 22.30 and has indoor and outdoor seating. Dress code is smart casual. 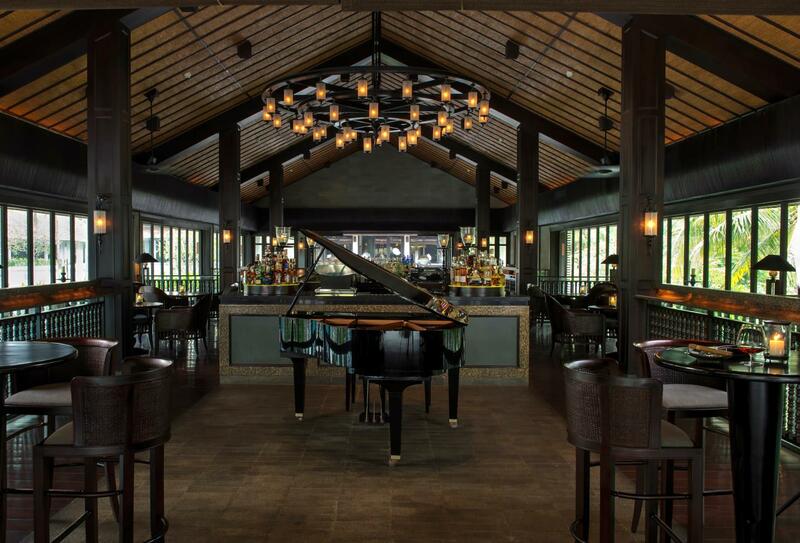 There are Vietnamese bar snacks, Asian tapas and a range of cocktails to choose from. There are views across the East view and a resident DJ on hand. Open from 11.00 onwards. 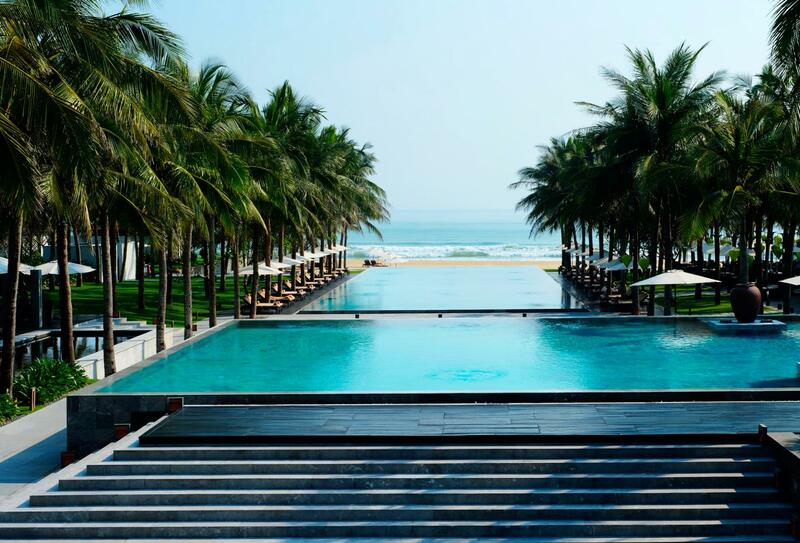 Located in the town of Hoi An in Dien Duong Village, Four Seasons Resort The Nam Hai is around 30 minutes away from Da Nang International Airport.